Thank you Jo Ann for visiting with me again and congrats for winning the B.R.A.G Medallion for the second time. It was a pleasure to interview you about Rebel Puritan and I’m delighted be chatting with you about The Reputed Wife. Please tell your audience about your book? Thank you, Stephanie, and it’s an honor to talk with you as a second-time B.R.A.G. Medallion winner! Readers of Rebel Puritan are familiar with Herodias Long and George Gardner. In The Reputed Wife, Herod raises a burgeoning family in 17th century Newport, Rhode Island, even as she and George try to conceal their unconventional relationship. Rhode Island suffers its own growing pains when more powerful Puritan colonies try to usurp its lands. Lastly, Quaker missionaries arrive in New England, bent on converting Puritans. Mary Dyer is one of their converts, and so is Herod, who takes her protest against Puritan abuse to the whipping post. What fascinates you most about this time period your story is written in? The New Englanders’ struggle to survive, to build homes in the wilderness, and to create their own society. Their laws and customs were based on English law, but Puritan and non-Puritan alike added their own New England flavor. Rhode Island’s own struggle is also amazing. The residents were all non-conforming outcasts from Puritan colonies, and had to learn to work together to form a viable colony of their own. With this sequel is there anything new you learned in your research that you did not know in your first book? I originally meant to write a single book about Herodias, so there weren’t any big surprises for me while writing The Reputed Wife. However, I’m now writing The Golden Shore, the final volume in my Scandalous Life trilogy. Just a couple of weeks ago I learned that a convicted witch from Hartford, Connecticut escaped to Rhode Island, and that Herod’s son George was involved in her escape. I paused to research the 1662-63 Hartford witch trials, and am bringing that dramatic episode into The Golden Shore. What are your thoughts on the Puritans and the Quakers? How they lived their life and the rules they followed. Jo Ann: 17th-century Quakers were not the pacifist folk we picture. They believed in passive resistance and street theater to make their points, and outraged Puritans with their actions. Walking into church with your face painted black in mourning for the Puritans’ damnation, or stripped naked to demonstrate Puritan spiritual nakedness did not win the Quakers any friends. Puritans believed that God no longer spoke to man, and that only learned men should speak in church, to prevent ‘errors’ in religious beliefs. Quakers often worshiped in silence, waiting for divine revelation to put words into their mouths. Such revelation was heresy to Puritans, and they couldn’t decide whether Quakers were witches, possessed by Satan, or both. I might feel sorry for Puritans, who felt beset by Quakers berating them in church and court, except for the methods used to encourage those Quakers to leave Puritan colonies alone. Those Quakers were jailed, branded, and whipped, including Herod Gardner, who walked sixty miles to protest the torture. Four Quakers went to the gallows for defying their banishment, including Mary Dyer. Please tell me about some of the places you visited to research for you book(s). In the last 30 years I’ve spent weeks in libraries and archives in Boston, Newport, Providence, and Salt Lake City. On my first trip, I nearly fainted when I was handed Rhode Island’s original record book dating from 1638. Newport’s historian showed me the 1651 record authorizing William Coddington as Rhode Island’s governor-for-life. I’ve also visited places I know that Herod must have seen, like Smith’s Castle, a trading post in Wickford, and camped near Herod’s home for a week to get a feel for her world. Google Earth has also been invaluable. Will there be a third book? Will you tell me a little about it? My first draft of The Golden Shore is about 20% complete. I hope to print it next year, but realize that’s a very, very ambitious goal. Herod and her maturing Gardner children all move to the west side of Narragansett Bay, and her messy personal life takes yet another turn which I won’t spoil here. New England’s Indian tribes are losing their land in gigantic chunks, and King Philip of the Wampanoag Indians leads the tribes in war against encroaching settlers. Slavery is on the rise, so I have plenty of social issues to explore. Please tell me about any of the challenges you had while writing your story. I have a historical framework for my books, but everything else is seat-of-pants writing, waiting for my characters to tell me where they are going. Deciding what to include and what to omit is always tough. I throw all my ingredients into the kettle, produce a massive first draft, then start pruning. Tell me a little about Herodias Long and George Gardner. Any woman who marries at thirteen like Herod did in real life must be ferociously impulsive. Herod takes responsibility for her acts and does her best to live with, and learn from the results, but her headstrong nature sometimes gets the best of her. George Gardner is a solid citizen and a hard worker, but like Frank Kennedy in Gone With the Wind, George has taken up with a little more woman than he can manage. He is happy just farming and planting to provide for his family, but Herod’s ambitions push George way beyond his comfort zone. After you are done writing this series what will be your next book project? The 1662 Connecticut witchcraft outbreak is very tempting, but I may try a modern thriller first. When a geologist is killed and his laptop goes missing, who wants him dead? A jealous boyfriend? Frackers? Lake Effect would also let me bring in our local meteorological headache – snowfall above and beyond belief – into play. I also have an idea combining birds, magic, and history into multiple story lines, but I’m not doing anything with it until after The Golden Shore is done. That sounds interesting. What advice would you give to an aspiring author? Don’t dream it – be it! If you have an idea, start writing. Also, I sold single-page, and then longer articles to Equus and Birds and Blooms magazines while I was finishing Rebel Puritan. It was great practice for writing queries, and also for creating a tight tale with introduction, body, and conclusion – exactly what you need for a book. We are delighted that Stephanie has chosen to interview Jo Ann Butler, who is the author of, The Reputed Wife one of our medallion honorees at www.bragmedallion.com. To be awarded a B.R.A.G. Medallion TM, a book must receive unanimous approval by a group of our readers. It is a daunting hurdle and it serves to reaffirm that a book such as, The Reputed Wife merits the investment of a reader’s time and money. Born in Devon, England, Carollyne has been playing with words in one form or another all her life. From editorial assistant on London‘s famous Fleet Street, to her first full length novel entitled “Raised by Committee”, Carollyne continues to make music with her words. As a Board member with Nanaimo’s Haven Society, which provides shelter and support for women and children fleeing abuse, Carollyne is acutely aware of the challenges facing care givers. The work is demanding and often thankless as they come face to face with the hurt and anger of the young girls and women they are trying to help. Stephanie: Hello Carollyne! Congrats on winning the B.R.A.G. Medallion. Please tell me about your book, Raised by Committee. Carollyne: Raised by Committee is a story of hope and survival and the unconditional caring of strangers. It is my story as an abandoned and abused young girl and my rather turbulent teen years as I struggled to make sense of my past. At age 12 Gail [the fictional name I gave myself] is made a ‘ward of the courts, as being in need of moral protection’ and placed under the care of the ubiquitous Children’s Committee and sent to live in a children’s home in Devon, England. Set against a backdrop of Beatlemania and the sexual revolution, Raised by Committee chronicles my roller coaster emotional ride as I railed against the restrictions put on my life and struggled to fill the void left by my parents. As much as I resented the interference of the Children’s Committee however, deep down I realized that I needed their protection – from myself as much as anyone. I had a wild streak in me fueled by hurt and anger, and a searing anguish which threatened to consume me. From runaway, to thief, to top student, my life ran the gamut from despair to hope but just when I thought everything was fine it blew up in my face again and again! Raised by Committee is on the recommended list for Little Warriors* and Nanaimo’s Haven Society because of its importance in expressing the hurt, confusion and anger many young people experience when the people they love and trust fail them so badly. Carollyne: Several things conspired to get me to put pen to paper. I took a ‘freefall into creative writing’ course which basically teaches you how to open up and write without judging what you write, but for me the same topic kept burbling to the surface. It was a topic I had spent my life avoiding but snippets of it would creep into whatever I wrote. I could hear the creaking of the stairs as my father approached my bedroom at night, I could smell his beer sodden breath as he smothered me with his drunken kisses, I could feel the weight of him suffocating me. 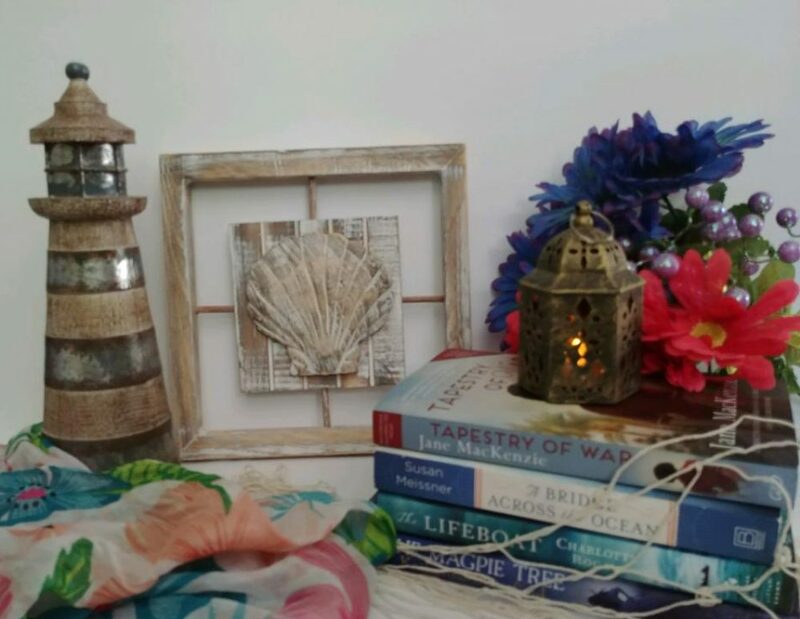 These were all things I had kept buried inside me and I was anxious to keep them there even though my writing tutor encouraged me to ‘keep digging’ and get the story out. If anyone ever asked I would tell them I went to boarding school, the euphemism I gave to the Children’s Home, and I thought I’d put my past behind me as I had gone on to have a good life, but apparently not. One day I read a newspaper article entitled ‘Kids see group homes as gateways to jail’ which noted that ‘It’s very important to understand that these kids should be treated as though they’re in homes, not in institutions. When we have children in, for example, the province’s child protection system, we the province are their parents.’ Also, around that time there was a lot of negative publicity about the fact that children were being mistreated in some children’s homes which got me thinking about how my experience had been so different and proved to be my saving grace. The home I was sent to was run by Miss Lillian Hopkins, whom we all called Nurse and she was as caring and attentive to my needs as any parent could be. Raised by Committee is a tribute to Nurse and all the hidden angels who take care of the children like myself who, through no fault of our own, become the flotsam of our society. Stephanie: Is this your first published book? Will there be others? Carollyne: This is my first published book. I have recently finished a second book which is now undergoing the seemingly endless cycle of revisions and edits. Also, I have a third book on the back burner which will be a sequel to Raised by Committee as many of my readers have asked for it. Stephanie: Please tell me a little about yourself and how you got started in writing. Carollyne: Words are my music and I’ve been playing with them in one form or another all my life. At college I studied languages and secretarial skills which enabled me to travel and work in a variety of arenas, from London’s famous Fleet Street to the House of Commons in Ottawa. I used my writing skills to develop newsletters and write speeches and reports and also had a regular newspaper column. When I retired in my early fifties I started to focus on writing and hedonistic pursuits. I have 3 amazing children, 3 1/2 beautiful grandchildren [to become 4 in December] and a loving, supportive husband. Despite a rather bumpy beginning to my life I feel I have indeed been blessed! I have also been a strong community supporter over the years and have served on various Boards including the United Way, Brechin United Church, Fort Langley’s Women’s Institute [founding President], Nanaimo’s Haven Society and currently the Qualicum Beach Historical & Museum Society. They say it takes a village to raise a child and I believe that, especially considering the manner in which I was raised! I also believe in the importance of giving back to the community we live in – it is a win-win for everyone. Stephanie: Are there any challenges you find in writing? Carollyne: I’ve been told, by editors, and tutors, that I seem, to have a bit of a, “comma fetish”, as I tend to put them, in all the wrong, places! I’m working, on this and, my other challenge which is, the fact that, I always dream up other important, but not really, things to do, instead of sitting down, to write! Stephanie: Was there any research involved for your story, Raised by Committee? Carollyne: Yes. I realized that Nurse was an integral part of my survival and story so I felt a need to reconnect with her and let her know that things had worked out well for me, thanks in large part to her support and caring. Unfortunately my internet search turned up no trace of her so I assumed she must have passed away as she would have been well into her nineties by then. I was, however, able to locate Aunty Dawn, Nurse’s assistant during the years I lived in the children’s home so I telephoned her. Much to my delight she told me that Nurse was still alive and gave me her phone number. It took me several days to pluck up the courage to call Nurse. I hadn’t exactly been what you’d call a ‘model resident’ during my years in the home so I wasn’t at all sure Nurse would remember me – and if she did, maybe she’d rather she didn’t! When I eventually called I gave her my name as asked if she remembered me. ‘Oh yes dear,’ she replied with a little chuckle, ‘I remember you. You’re the one who called me a witch!’Unfortunately I couldn’t deny it – so much for senile dementia! Within a few weeks I was on a plane home to England to visit with Nurse and Aunty Dawn. Also, through the Freedom of Information Act, I applied for and obtained a copy of my file which had been stored in the bowels of the Devon County Council offices all those years [over 500 pages in total]. It was all there in black and white – every wart and bump of my rather turbulent youth! Woven throughout those clinical reports, however, was an underlying current of caring and dedication that I had been oblivious to as a teenager. I saw how diligently the social workers, care givers and assorted others worked to turn a very angry, hurt young girl into the semblance of a socially acceptable humanoid [me!]. Also, as I read through my file I came to the overwhelming realization that I had literally been ‘raised by a committee’. I realized I had an important story to tell – not just about sexual abuse per se but about the impact it has on its victims. I also realized that I could not have dug myself out of that dark hole of depression if it wasn’t for the care and understanding I received from Nurse and all those involved in my care. The rest was easy. Carollyne: The first draft took just over three painful months to write as I spewed every memory and emotion into my computer. I then locked the manuscript away for a couple of months to let my emotions settle, then went back to start the edits. It was almost five years before the book eventually saw the light of day and was published. Stephanie: Is there a message you would like readers to grasp? Carollyne: Raised by Committee in a story of hope and survival and a tribute to the unconditional caring of strangers who make such a difference. To those who have been abused – I encourage you to take back the power over your own lives and not let the past destroy your future. To those who care for us and put us back together – I say thank you! Your work is often thankless and not enough of us look back over the years to see who the true angels were in our lives. You do make a difference, even if we don’t acknowledge it at the time. Finally, I hope people will start talking more openly about this difficult topic. Until we bring it into the open the problem will continue to exist and other young children will suffer abuse … maybe not you, but maybe your neighbor, or your daughter’s friend, or that sullen young girl you so see in the Mall. Sexual abuse is not OK and we cannot continue to keep quiet about it. Carollyne: In a newsletter from the BC Federation of Writers which I receive on a regular basis. I put the word out there and was overwhelmed by the readers who nominated my book for the BRAG award. As an independently published author it is indeed gratifying to have organizations such as indieBRAG shining their light on our work. Carollyne: Write! Set a time aside every day for writing and commit to it, even if you can think of every excuse in the book not to. Also, I once read that every good story should answer a question, so decide what the question is and keep it center front. 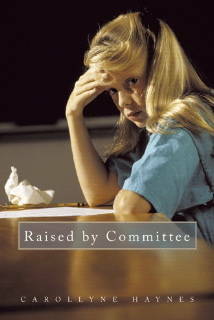 Raised by Committee asks the question … can a committee raise a child or replace a mother’s love? I guess you’ll have to read the book to find the answer to that question. Anything which didn’t in some way address that question was edited out. *Little Warriors is the Canadian branch of Darkness to Light [D2L] and their mandate is to empower people to prevent child sexual abuse. Their programs raise awareness of the prevalence and consequences of child sexual abuse by educating adults about the steps they can take to prevent, recognize and react responsibly to the reality of child sexual abuse. We are delighted that Stephanie has chosen to interview Carollyne Haynes, who is the author of, Raised by Committee one of our medallion honorees at www.bragmedallion.com . To be awarded a B.R.A.G. Medallion TM, a book must receive unanimous approval by a group of our readers. It is a daunting hurdle and it serves to reaffirm that a book such as, Raised by Committee merits the investment of a reader’s time and money. 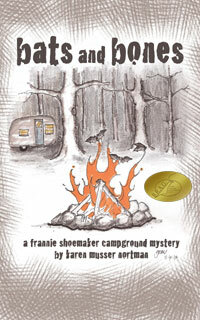 Karen Musser Nortman is the author of Bats and Bones, the first book in the Frannie Shoemaker Campground cozy mystery series. Karen was a secondary social studies teacher in the West Liberty, Iowa, Community Schools for 22 years and a test developer and senior test associate with the ACT WorkKeys testing program for 18 years. 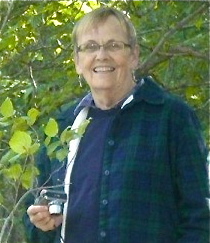 In retirement, she has combined an early love, fiction writing, with the Nortmans’ avocation, RV camping. The Nortman’s camp regularly through the spring, summer, and fall in Iowa, Illinois, Minnesota, and Missouri with friends and enjoy exploring the local attractions as well as hiking, cooking, and biking. The Frannie Shoemaker series tweaks their real life adventures with a touch of murder thrown in. Stephanie: Karen, congrats on winning the B.R.A.G Medallion. Please tell me about your story, Bats and Bones. Karen: Frannie Shoemaker and her husband Larry, both retirees, camp in Midwest state parks and campgrounds with a group of friends. But one hot Fourth of July weekend, their planned activities are interrupted by their discovery of the body of the campground hostess while on a hike. Authorities close the campground and a severe storm adds to their confinement. Frannie’s natural curiosity combined with Larry’s experience as a small town cop draw them in to the investigation and eventually put Frannie’s life at risk. Stephanie: What an interesting title. How did you come up with it? Karen: The setting is based on Maquoketa Caves State Park in Iowa, whose caves house a large population of bats. I named my fictitious park ‘Bat Cave State Park,’ and was originally just going to call the book ‘Bat Cave.’ However, as the plot developed, Bats and Bones became appropriate and is a lot catchier. Karen: It took about six months to write the first draft and probably a couple of months more for editing. My sister Gretchen did the art work and my youngest sister Libby designed the layout for the cover. I had been talking to a couple of artists about doing the cover artwork, but things were moving pretty slowly. When I told Gretchen about the delays, she asked me what I wanted. I told her that I envisioned a campfire made with bones instead of wood and bats coming out of the flames. Forty-five minutes later she emailed a sketch, exactly what I had in mind. She then refined it and added the trees and the vintage camper, and I love it. In real life, she is a landscape architect and arborist. Libby has a graphics business, so she did the titles and added the crosshatching around the art work. I was thrilled with the result. Karen: We tent camped when our children were young and then got too busy as they grew older. Six or seven years ago, we decided we wanted to get back into camping but didn’t want to sleep on the ground anymore, so we purchased a used travel trailer. I was surprised a few years ago when I realized there were very few adult mysteries that take place in campgrounds. The nature of campgrounds is that most of the other campers are strangers and you never even learn their names. Yet you see them in pajamas on their way to the shower house, or coping with the many mishaps that befall RVers, or taking part in activities that may seem a little odd. It’s like getting a glimpse of someone on a passing train and trying to figure out what they are doing. It just seems like a natural setting for a mystery. Some of the humor and some of suspense is provided by those same mishaps. There is nothing in my books that we haven’t experienced, observed, or heard around a campfire—except finding a body. I also wanted my characters to be realistic senior citizens—neither decrepit and helpless nor trying too hard to be teenagers. Stephanie: How long have you been a writer and what do you find most challenging about writing? Karen: I have always loved to write. My first career was teaching social studies for 22 years, and then for 18 years, I worked for a large testing company in test development. Actually, writing a test item is excellent training for writing a mystery. Both require a right answer that can be logically explained, but also several wrong answers that are plausible and attractive. I didn’t write my first book until after I retired, two years ago. Most challenging to me is building the plot and keeping all of the threads straight. Karen: I have written and published two more Frannie Shoemaker mysteries since Bats and Bones: The Blue Coyote and Peete and Repeat. I think the next one will be Grilling the Suspect, concerning a barbecue contest that Frannie and her friends are involved in. Karen: I have self-published all of my books and will continue to do so. I like the control that I have over the finished product. I will say that I have a couple of excellent beta readers who help me with the editing. I also do my own formatting and struggled with that on the first one but each one since has been easier. Karen: A fellow writer had reviewed my book and we began corresponding about the writing process. Her book was chosen as a B.R.A.G. Medallion honoree, so I decided to submit mine. Stephanie: Where can readers find your book? Karen: It is available on Amazon both for Kindle and in paperback. 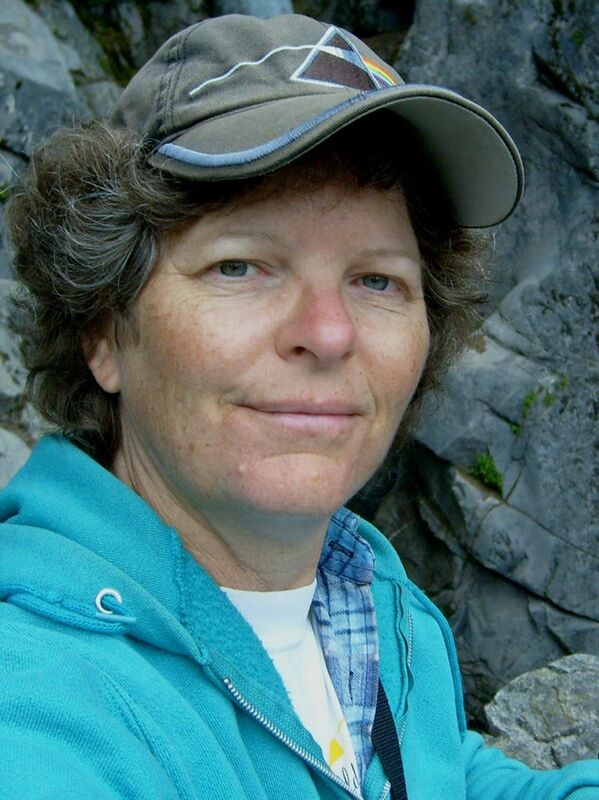 We are delighted that Stephanie has chosen to interview Karen Notman, who is the author of, Bats and Bones one of our medallion honorees at www.bragmedallion.com To be awarded a B.R.A.G. Medallion TM, a book must receive unanimous approval by a group of our readers. It is a daunting hurdle and it serves to reaffirm that a book such as, Bates and Bones merits the investment of a reader’s time and money. Stephanie: Hello, Darcy. Congrats on winning the BRAG medallion. 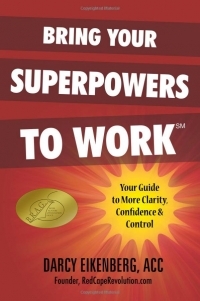 Please tell me about your book, Bring Your Superpowers to Work: Your Guide to More Clarity, Confidence & Control. Darcy: Thank you! I’m honored that “Bring Your Superpowers to Work” was chosen! The book is a practical guide for anyone who’s successful “on paper”—good job, good company, good pay—but feeling less than successful on the inside. It’s filled with real-world, simple ideas to help you change your life at work without having to change everything in your life. Stephanie: What genre does it fall under? And how long did it take you to write it? Darcy: It’s a non-fiction business book in the career development and leadership space. However, I’ve had some people refer to it as self-help because of all the simple, practical actions and tools the book shares that any one of us can use in our work-life. The book started as a series of posts on my blog, www.RedCapeRevolution.com. I wasn’t focused on writing a book, but an agent who had subscribed to my monthly email newsletter suggested I consider it. I started to work on a nonfiction book proposal to pitch the book in the traditional way, and soon realized I could spend that same time actually writing the book! I stopped focusing on the proposal and started focusing on the book, and it took me about four months from that point to finish writing and another five to complete the editing, design, and publishing process. Stephanie: Is there a message in your book you want your readers to grasp? If so, please explain. Darcy: The message of my book–and the theme of my ongoing writing at http://www.RedCapeRevolution.com–is that no matter what the state of the economy, your company, or your profession, you have all the tools you need to revolutionize your life at work–without having to change everything in your life. It makes me sad when people start to believe that nothing can ever change for the better in their life at work. I’ve met so many people who think that way–it’s such a waste. That’s why I urge people to think back to when they were a kid–when you grabbed a towel or a sheet and flung it around your shoulders. You felt strong, confident–like you could do anything, right? What if you could feel that way every day at work? What might change in our companies, communities, and our world if we all started wearing our red capes again and bringing our unique superpowers to work? Darcy: Yes. I’ve published many articles and blog posts in the past, but this is my first book. Darcy: Yes, the work is based on thousands of hours of work with my coaching and consulting clients, and includes success stories from many of them. Since I also do quite a bit of public speaking, I tested these ideas with audiences during the writing process, and that also helped me see what ideas resonated and which needed work. Stephanie: What inspired you to write your book? Darcy: As an executive coach, I’ve had the opportunity to meet many people who seem extremely successful “on paper,” but who felt stuck and unhappy in their life at work. The traditional career advice of “find a new job” or “work harder to get a promotion” doesn’t work for these talented individuals who were often ashamed to admit they worried that they were wasting their life. To grow my expertise and to be of the most help to them that I could, I read many books on different career transition and growth strategies. But I found the advice in most career books either too academic and not applicable to today’s workplace, or too immature and naive of how to grow and succeed in the new world of work. So I wrote the book my clients needed, and their successes–and now the successes of my readers–continue to inspire me. Darcy: I have a new e-book coming out in mid-October called “27 Days to Change Your Life at Work.” It will initially only be available free to members of my community who’ve signed up at www.RedCapeRevolution.com. Later next year it’ll be available for sale on Kindle, Nook, and iBooks. I’m also researching topics for my next book, based on the problems and concerns I’m hearing from my clients about keeping more humanity, fun, as well as success in our workplaces. I welcome any stories from readers about what’s happening in their world of work–and what would help them change it for the better. You can email me directly at Darcy@RedCapeRevolution.com. Darcy: When I decided to publish independently, I searched for organizations who were supporting and advocating this business model in the marketplace. indieBRAG was one I’ve followed, and we submitted my book for submission. It’s an honor to be one of a growing number of non-fiction works recognized there, and I look forward to reading other Medallion books soon! In addition to her coaching work with executives and leaders, Darcy founded career and success site RedCapeRevolution.com as a way to help successful professionals at all levels discover their “superpowers” and make a bigger difference in the new world of work. Her book, Bring Your Superpowers to Work: Your Guide to More Clarity, Confidence and Control is available on Amazon and BN.com. You can download a free chapter and explore more free tips and tools at RedCapeRevolution.com. Atlanta Journal-Constitution, Modesto Bee, and CareerBuilder.com among others. International Coach Federation. She graduated from Northwestern University and lives in Atlanta, Georgia, USA. She welcomes hearing from you and supporting your success. 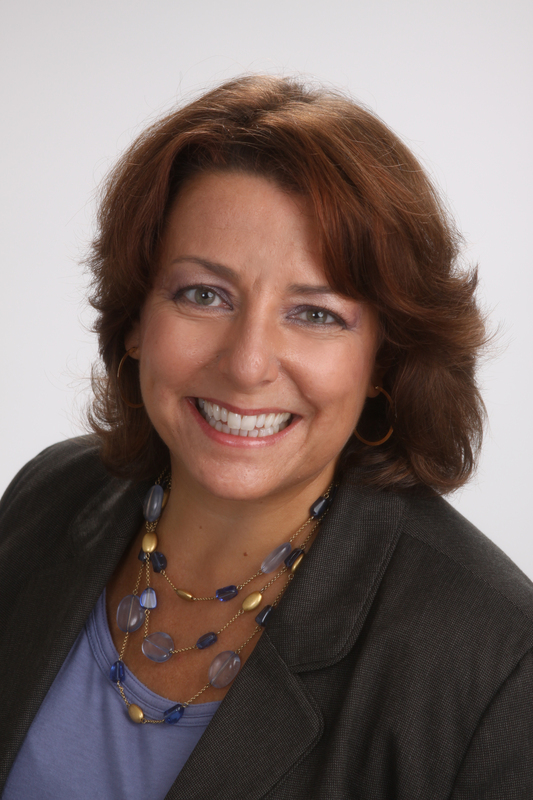 We are delighted that Stephanie has chosen to interview Darcy Eikenberg, who is the author of, Bring Your Superpowers to Work: Your Guide to More Clarity, Confidence & Control one of our medallion honorees at www.bragmedallion.com . To be awarded a B.R.A.G. Medallion TM, a book must receive unanimous approval by a group of our readers. It is a daunting hurdle and it serves to reaffirm that a book such as, Bring Your Superpowers to Work: Your Guide to More Clarity, Confidence & Control merits the investment of a reader’s time and money. Stephanie: I would like to introduce Debbie Brown. Author and admin of the English Historical Fiction Authors Group on Facebook and co-editor of Castles, Customs, and Kings. Hello Debbie! I am so delighted to be chatting with you today and I’m really looking forward to reading, Castles, Custom & Kings! I do know that this is a collection of essays- if you will- from authors and it is non-fiction? Please tell me more about it and who the contributors of the book are. Debbie: Thank you for having me on your wonderful blog, Stephanie! 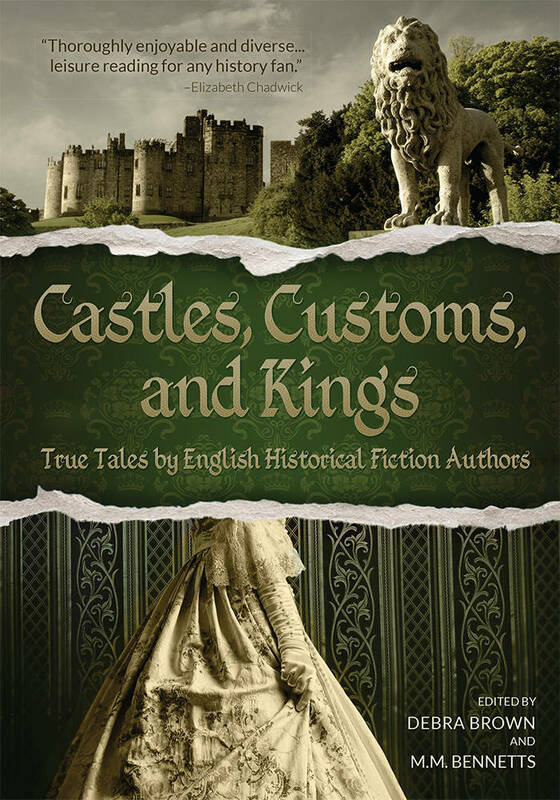 Castles, Customs, and Kings: True Tales by English Historical Fiction Authors is an anthology of selected historical posts from the first year of the English Historical Fiction Authors blog. The articles are written from the research done by fifty-five authors in preparing to write their novels. Some are regular members of our blog group, and some are guest posters—some are mainstream published, and others are independent authors. Stephanie: Who designed the book cover? Debbie: The publisher works with a book designer named Masha Shubin. I love the work she did on this book! It is beautiful inside and out. Stephanie: She did an amazing job! What was your inspiration to put this book together? Debbie: After celebrating our blog’s first anniversary, Deborah Swift suggested the year’s posts be made into a book. It was a wonderful idea! Stephanie: It is a fabulous idea and your readers are delighted it came about. How has the response for this book been so far and will there be a sequel in the near future? Debbie: The response has been fabulous! We were at #1 in the Amazon Hot New Releases > Historical Study > Essays section for some days after it was released, and #4 in Kindle eBooks > History > Europe > England. Stephanie: Will there be a sequel? Debbie: I hope so. This book is amazing to read, and the second year would be additional, unique posts of equal fascination. We do need to see if “Volume One” turns out to be profitable for the publisher before we can decide on a “Volume Two”. It was a lot of work! Stephanie: I discovered you and M.m Bennett through the English Historical Fiction Group on Facebook among other authors. In your opinion, how has this group reached readers and authors? And how do you think this group has benefit everyone? Debbie: Part of setting up the blogging group was planning the promotion strategy. We all agreed to promote the daily blog post and a weekly giveaway, and we reached many people through our social media efforts along those lines. There is a link on the blog to join the FB group, and I’m sure many Facebook group members have been invited by friends. I think the group is successful because we all have the same love of British history. The continual flow of blog posts means we have something new to discuss each day. I hope people feel, as I do, that they are always learning, and I hope the real historians among us are enjoying sharing what they know. Stephanie: I completely agree and it is like being part of a wonderful community. I adore the EHFA Website. Who are the contributors of the site and how long has the site been up? Debbie: The launch date of the blog was September 23, 2011. We had a starting membership of thirty British historical fiction authors, all of whom I invited. Others contacted me, and over time, some moved on to other projects, other genre, etc., and new members have taken their place. Stephanie: Please tell your audience a little about yourself and the books you have written? Debbie: After a lifetime of doing other things, I found myself free of other obligations, and my love for English history asserted itself. I had always read historical fiction and watched period movies, and once free to do so I wanted to write a story of my own. The Companion of Lady Holmeshire was my first book. It is the story of a former servant turned companion who is dragged into polite society where she receives a rude reception. Debbie: Besides marketing Castles, I am writing a story I call For the Skylark. I started to base it on a character similar to Dickens’ Miss Havisham, but my character’s adult twins took over the story. They are Dante and Evangeline, who are raised isolated on a large estate by their reclusive mother. Evangeline finds it hard to cope when her beloved brother and only friend, Dante, finds the woman he loves. Stephanie: Sounds wonderful! What period is your favorite in history and why? Debbie: Though I have a general knowledge about England’s history, I have not yet dug deep enough to find anything I like better than the snobbery of Victorian society. I probably will move on someday, but for now, I am still researching there. Stephanie: Reading about the Victorian society is always fascinating. One more question about Castles, Customs & Kings. What is your publishing method and where can readers buy this book? 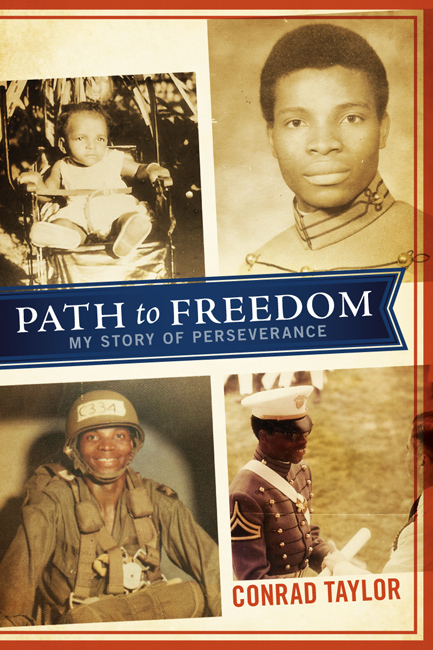 Debbie: Madison Street Publishing did a wonderful job on the book. It is currently available on Amazon in paperback—a 7” x 10”, 514 page book; it is also on Kindle, on Kobo, and it will soon be available on Barnes and Noble and other online bookstores. Though it is a large, informative book, we kept the paperback price below $20 so people would find it affordable. I hope everyone enjoys it thoroughly! Stephanie: Thank you, Debbie! It is always pleasure chatting with you! 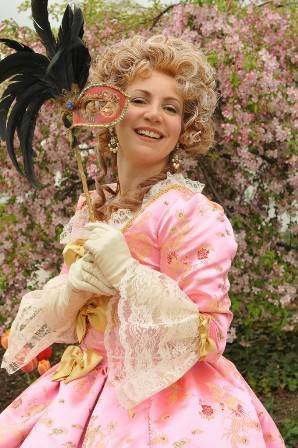 Stephanie: Juliet Grey is the author of Becoming Marie Antoinette and Days of Splendor, Days of Sorrow. She has extensively researched European royalty and is a particular devotee of Marie Antoinette, as well as a classically trained professional actress with numerous portrayals of virgins, vixens, and villainesses to her credit. She and her husband divide their time between New York City and southern Vermont. Juliet, thank you for chatting with me today about your book. Your trilogy has been a wonderful discovery of Marie Antoinette. Although, many know the story of her and what happened. You give us a clearer and in-depth look at her life and the life of her family. Please tell your audience about Confessions. Juliet: Thank you so much for hosting me today, Stephanie! It’s always a pleasure. Confessions of Marie Antoinette is the third novel in my historical fiction trilogy, spanning the time period from October 5, 1789 when the fishwives and tradeswomen of Paris (along with some infiltrators) march to Versailles demanding bread to the execution of Marie Antoinette on October 16, 1793, just days before her 38th birthday. This book details the last few years of her life, those of increasing deprivation, but they are the years when Marie Antoinette really comes into her own as a woman, wife, and mother. Circumstances compel her to mature. As the youngest daughter of the formidable Empress Maria Theresa of Austria, these reservoirs of courage may have been in her all along, but were dormant for decades. The occasions had never before arisen where she needed to discover how strong and resilient and brave she really was. The action of Confessions. follows that of the middle novel in the trilogy, Days of Splendor, Days of Sorrow, which depicts Marie Antoinette’s golden years as queen of France from 1774-1789, and the first book, Becoming Marie Antoinette, which profiles her childhood as an Austrian archduchess and the astounding physical makeover she had to undergo before she was judged fit to become dauphine of France, to her wedding to the grandson of Louis XV (the future Louis XVI), as well as her years as dauphine at Versailles until the death of Louis XV on May 10, 1774. Confessions of Marie Antoinette, like the other two novels, stands alone, but right at the top of the novel I throw readers right into the midst of the march on Versailles. Those who are well versed in the era will already be familiar with the world of the narrative. However, in order to gain a full understanding of how things came to be so dire, and how Marie Antoinette came to be so detested, it is helpful to read the first two novels in the trilogy, not only for the character development over the 3-book narrative, but for historical perspective. All three novels were heavily researched and I relied on the historical record rather than playing fast and loose with the facts. Author’s notes at the back of every novel (there is also a bibliography at the back of each book) explain any deviations I made from the historical record and why I did so. Marie Antoinette has had enough lies told about her over the past 250 years. I wanted to finally tell the real story. Stephanie: When reading Confessions I found myself emotional over the decisions King Louis made and did not make regarding the protection of his family. He seemed like a lost child and was not able to protect his family because of his will not to put his subjects in harm’s way. Do you approve of how he handled their situation and if he had acted differently could there have been another out come to their plight? Juliet: Louis’s vacillation was maddening. And it drove his wife crazy. But it was imperative to her to keep the family together as a unit; she refused to flee with their children and leave him alone to the mercy of the mob. They were in it together as a family. That’s what noble people do. But Louis was also too naïve. He just refused to conceive that his own “good people” as he always called them, would revolt against the crown. He knew they were rumblings of discontent. There is proof that the monarchs did not in fact have their heads in the sand about this and about the possibility of revolt, and I include these scenes where they would chronologically appear, toward the end of the second novel in the trilogy, Days of Splendor, Days of Sorrow, when the Three Estates are meeting in the town of Versailles in June 1789 to demand governmental reforms. It was important to me to show that the monarchs were aware to a certain degree of what was going on beyond their walls—but that Louis was both credulous and stubborn. He felt the Estates had no right to try to railroad their king. And he genuinely had the welfare of his people at heart. In fact he had a love-hate relationship with his progressive Finance Minister Jacques Necker (father of the famous Germaine de Staël) over the minister’s forward-thinking policies. Necker started out as a Swiss banker and he believed in taxing the wealthiest segments of French society in order to alleviate the poorer segments from their crushing tax burdens. Louis XVI was compelled to agree that the rich should pay some taxes (they paid none), although he knew the first two Estates, the clergy and nobility (see question 7) wouldn’t be happy about it. But he needn’t have worried. The Parlements refused to ratify his edict. So the rich were never taxed after all. Still, he never believed that those who had had enough taxation and starvation would foment a full-scale revolution. He wasn’t ready for it, militarily or emotionally. And in any case, he never believed that the military should fire on his own subjects. 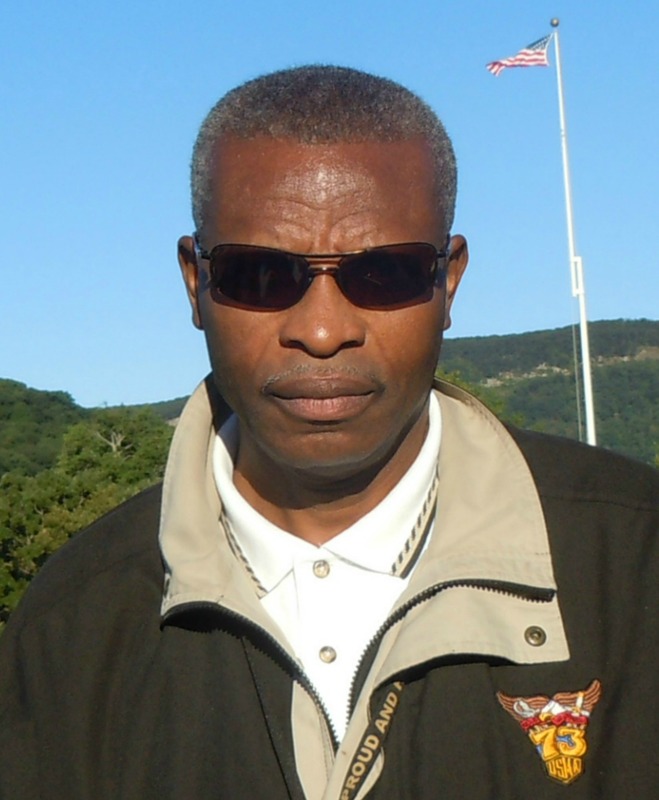 Louis took the high road in refusing to sanction the use of force against them. In a way, one has to admire that. The Revolutionaries were so violent and bloodthirsty and so adamant in their agenda to topple the monarchy that I don’t know if it would have made things better if Louis had authorized the use of force against them. It might have resulted in a complete civil war in France. What did happen during the Revolution is that for the most part one side (the Revolutionaries) killed the other (the Royalists). Stephanie: Marie seemed somewhat delusional at times –if you will- and in the beginning of their capture often times I don’t think she quite grasped the seriousness of their situation. Or was this a way for her to shield her children? Do you think she did all she could in the situation they were in? Juliet: Marie Antoinette was raised royal. It begins that simply. She always had servants, always had an entourage, always had things done for her. In fact, at the French court, she was not allowed to do things for herself, which at the beginning of her existence there drove her nuts. French queens didn’t handle their own things! It was considered beneath their station. Certainly, when she is helping to plan their escape to Montmedy and overpacks, she is thinking like a queen and not like a fugitive. I would not call her delusional and I think she certainly recognized how desperate their situation was, more so than Louis did because she didn’t trust their subjects as far as she could spit. But the trappings of royalty were ingrained within her and she felt it necessary to appear regal at all times. I think readers need to step outside their 21st c. heads and remember who Marie Antoinette was and think about the world she was born into and what was expected of her from the cradle. Queens dressed and comported themselves a certain way. They didn’t show up at the border looking like refugees. This is undoubtedly what was in her head as she packed for Montmedy, ordering all those clothes, and Axel von Fersen isn’t thinking life and death stakes, but thinking “royalty has to travel in style even when they are fleeing to safety” when he commissions the largest, heaviest, slowest coach in manufacture. I tried my best to stay inside the characters’ heads when I was writing the novel, rather than comment, as the author, from the outside looking in at them. Otherwise, yes, I would have screamed “What are you thinking? !” more than once. Stephanie: What are your opinions of the National Assembly and how they handle things? Do you agree with the laws that they were setting in place for the French people? Juliet: The National Assembly (which was actually one of a number of legislative bodies at the time because the legislature was re-named every time a new revolutionary faction gained power) passed a lot of nutty laws, like creating a new calendar that no one could understand, with absurd names for months and seasons and festivals, in their zeal to purge religion and God from society. They didn’t fix the problem of raising money, because they made the existing money of no value, replaced with assignats that ended up being worth less than the paper they were printed on. The poor remained just as poor and just as hungry, and the National Assembly had no new ideas and no system in place to ameliorate their problems. It was far worse than centuries of monarchy with government ministers placed in charge of various departments. Robespierre was an arch-hypocrite, dressing and behaving like the very aristocrats he despised. The trials in Confessions of Marie Antoinette, which are drawn from the historical record, show what a sham the new Republican government (France was declared a Republic after the National Assembly abolished the monarchy in 1792) was. There was no justice for the royal family. The Revolutionaries had an agenda and nothing short of abolishing the monarchy would do. The National Assembly allowed a certain amount of anarchy and lawlessness to destroy France far more than the monarchy had ever done, yet looked the other way when the streets ran with blood. And when things were just as bad for the lower classes, the Assembly did nothing, but blame the monarchs, whom they had already stripped of their power! Stephanie: There were people who were against the royal family that had close contact with them and later changed their mind how they felt about them. They realized what a devoted mother Marie was and a loving wife. Could those people have stopped what happen to them or were they very few to make that kind-of impact? Juliet: If only! Once the Revolution got underway, it became so bloodthirsty that good people were afraid to speak out for fear of reprisals. In fact, in Confessions of Marie Antoinette, there are characters who come to know her personally and realize that she is hardly the caricature she had been demonized as for so many years. Those with no power could not possibly have been able to say anything. 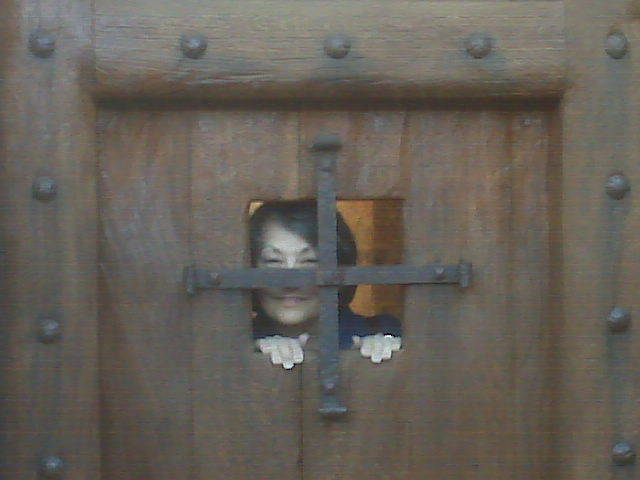 Even within the prisons there were reprisals. And even when she makes alliances with those in power, and at least one in the novel, does risk his reputation and credit with the Revolutionaries to stick up for her—things do not end well for him. Reason and Revolution did not go hand in hand after the fall of the Bastille in July, 1789. All of the principles of Enlightenment that were discussed prior to that, in the sophisticated salons and coffee houses of Paris, and the ideas of Liberté, Égalité, et Fraternité, went out the window once the more—and then the most—radical, violent, fringe elements of the Revolutionaries took over, displacing those who had wanted to foment a revolution for more high-minded reasons and ideals. Juliet: What motivated you to write about Marie Antoinette and the French Revolution? What did you hope to discover in doing so? Juliet: I first fell in love with Marie Antoinette (and Louis) when I was profiling their marriage in my nonfiction book (as Leslie Carroll) Notorious Royal Marriages (NAL, 1/10). As I researched their lives, I discovered so much that has been disseminated about them for centuries is propaganda, written by the winners of the French Revolution and handed down through the years as fact. I felt that she had been so maligned that I had to tell her true story. So the discovery actually came first. 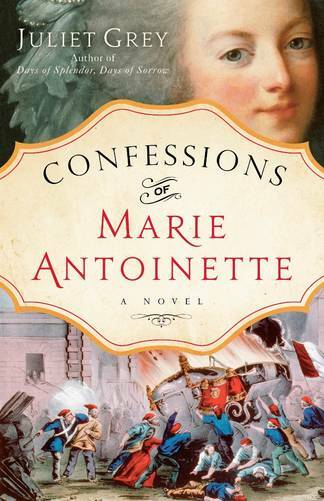 Confessions of Marie Antoinette is the last novel in a trilogy, so I was bound to write about the French Revolution in the third book, as the action begins three months after the storming of the Bastille—which happens at the end of the second novel, Days of Splendor, Days of Sorrow. The events of Confessions of Marie Antoinette begin with the famous Women’s March on Versailles of October 5, 1789 and end with Marie Antoinette’s execution on October 16, 1793. It wasn’t so much that I hoped to “discover” anything by writing about the Revolution, but I hoped to set the political record straight for readers. For more than two centuries the monarchs were blamed for the events of the Revolution; but by and large, they were scapegoats. Their own subjects had no idea how their own government worked. The king was an autocrat but all of his edicts had to be ratified by the 12 judicial bodies spread across France, known as the Parlements. The members of the 12 parlements came from the first two Estates (the clergy and the nobility) that historically had never paid taxes. Only the middle class (the bourgeoisie) and the poor paid taxes. And whenever a king (this happened during the reigns of both Louis XV and Louis XVI) had a progressive and far-seeing minister who realized that France would be utterly bankrupted with no hope of getting out of the hole unless the first two Estates were not taxed, and the king then issued an edict regarding some sort of levy on the nobility and the clergy (who were the only 2 social classes who had any real wealth), the parlements consistently shot the edict down and refused to ratify it. So the rich stayed richer and the bourgeoisie and the poor got poorer thanks to increased taxation to cover increased government expenditures, as well as bad harvests. Wars had gone unpaid for, from the Seven Years’ War during the reign of Louis XV to the military aid sent to the American colonies during our own Revolution. But the demagogues who sought the ouster of Louis XVI and Marie Antoinette for their own reasons (for example, the deep pocketed duc d’Orléans wanted to be declared the constitutional monarch) were intent on destroying the sovereigns and the monarchy, and informing a people who were ignorant of the way their government really worked, that their sovereigns were to blame. In fact, the demagogues and the obstructionist parlements who repeatedly socked the lower classes with heavy tax burdens were the ones who deserved the blame. Marie Antoinette herself had no personal political clout. She was a queen-consort. A queen of France did not govern. But she received the lion’s share of the blame for all of France’s ills. Stephanie: What ever became of Marie and Louis’s children and is their bloodline still remaining today through the children? Juliet: Madame Royale, Marie Thérèse, the sole surviving daughter of Louis and Marie Antoinette, remained incarcerated for another three years, after which she was released in exchange for imprisoned commissaries of the Revolution. She eventually married her first cousin the duc d’Angoulême, the eldest son of Louis’s youngest brother, the comte d’Artois. After their marriage in 1799, the couple, who would always remain childless, moved to Buckinghamshire, England, returning to France only after the restoration of the Bourbon monarchy in 1814, following the enforced abdication of Napoleon. Upon the death in 1824 of her uncle Louis XVIII (the former comte de Provence), her father-in-law Artois became King Charles X of France, which meant that Marie Thérèse was the dauphine. In 1830, during yet another revolution, Charles X abdicated in favor of his eldest son. But Marie Antoinette’s daughter was Queen of France for less than an hour, because her husband was urged to immediately abdicate in favor of his nephew, the duc de Bordeaux. Marie Thérèse spent the remainder of her life in exile, first in Edinburgh, then in Prague, and finally on the outskirts of Vienna. She died of pneumonia in 1851. Stephanie: Were there any creative challenges you faced while writing Confessions? Juliet: The greatest challenge was maintaining the tension and suspense when 99.9% of readers know the end. But of course the characters don’t know the end of their story. Marie Antoinette and Louis XVI are trying to survive and remain in power and keep their children safe. Since I was writing most of the novel from the queen’s perspective, I saw her world through her eyes and it was her thoughts and emotions I felt as I wrote the story. So even though the author and the readers know the outcome of all of their trials and tribulations, for all of the characters, the events were happening in real time, for the first time. And so I strove to give the narrative that immediacy that they would have felt under the circumstances. Stephanie: Well, you certainly did a great job at maintain the tension and suspense! So much so in fact I had to put the book down for a minute to collect myself! What is up next for you? Juliet: My next nonfiction title, Inglorious Royal Marriages: A Demimillennium of Unholy Mismatrimony, (NAL 11/14) is in the revision stages. After I complete the revisions for that book, I’m working on a few other projects. Stephanie: Oooo…sounds exciting and intriguing. Where can readers buy your book? Juliet: Wherever books are sold—in major bookstore chains as well as independent bookstores, and online retailers as well). All three titles in the trilogy are available for Kindle and Nook.